Global food production. 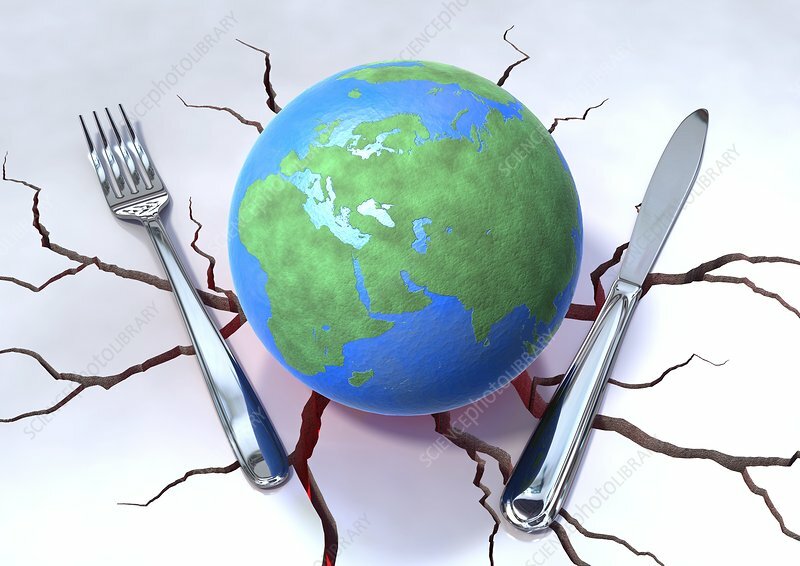 Conceptual image of an Earth globe on cracked ground with cutlery. This represents the effects of earthquakes and other natural disasters, such as droughts, on global food production. Severe disasters can lead to food shortages and famines.